Tata Group, India's largest conglomerate, has started due diligence proceedings of Jet Airways (India) Ltd as it explores the purchase of a controlling stake in the cash-strapped airline, the Mint newspaper reported, quoting two sources familiar with the development. The due diligence started after Jet Airways posted a net loss of 12.6 billion rupees (US$173.5 million) when it announced its third-quarter results earlier this month. Management blamed a 50% rise in fuel prices, the weak rupee, and a challenging pricing environment for the poor performance. 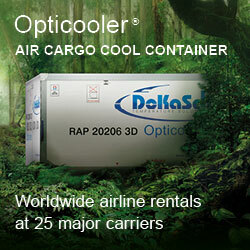 It was the airline’s third successive loss, making an infusion of funds critical for the carrier. 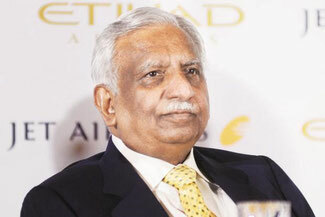 The Mint report said Saurabh Agarwal, chief financial officer of Tata Sons Ltd, is leading the discussions while Jet Airways is represented by its chairman Naresh Goyal. The newspaper reported last month that Goyal had approached potential investors, including Tata Group, to sell a significant stake in the airline. Tata, while showing initial interest, had made the deal contingent on Goyal relinquishing operational control of the company he founded. Goyal and his wife Anita own 51% in the airline, while UAE’s Etihad Airways has a 24% stake. According to sources, Goyal has in principle agreed to cede control to Tatas, subject to fulfilment of certain conditions, which reportedly include how much premium the Tata Group is willing to pay for Goyal to give up control and whether he (Goyal) will continue in some capacity if the talks are successful. Both Jet Airways and Tata Group declined requests for comment, the Mint report said, adding that Tata Group is also keen to acquire Jet’s stake in Jet Privilege, the airline’s loyalty programme. Earlier reports stated that potential investors eyeing a stake in JetPrivilege - private equity (PE) giants Blackstone Group LP and TPG Capital - were having second thoughts because of worries over the airline’s financial health. Both PE firms had valued Jet Privilege at close to US$900 million in their initial bids, while Goyal was reportedly seeking a valuation of over US$1 billion. Tata Group already has a presence in aviation through stakes in budget airline AirAsia India Pvt. Ltd and full-service carrier Vistara, a joint venture with Singapore Airlines Ltd.
Media reports noted that acquisition of Jet Airways would grow its combined market share about threefold to 24% from 8.2% as of end-September. IndiGo, India’s largest domestic operator run by InterGlobe Aviation Ltd, had a market share of 43.2% as of end-September. Following the disappointing third quarter results, Jet Airways announced it would cut flights on less profitable routes and add capacity to more lucrative markets, as part of its effort to lower costs and boost revenues. During the quarter it expanded a code share agreement with Delta Airlines, Etihad Airways, Korean Air, Malaysian Airlines and Bangkok Airways. According to the carrier's web site, Jet Airways currently has a fleet of 124 aircraft, which includes nine A330s (three of which reportedly have been grounded to reduce capacity), 18 ATR 72s, 87 various versions of the Boeing 737 and ten B777-300s. These include aircraft that have been dry-leased to other airlines. The airline has placed orders for 219 Boeing 737 MAX aircraft and has taken delivery of five of these planes.